Renting a Hospital Bed has been made easy by us here at Sherman Oaks Medical. 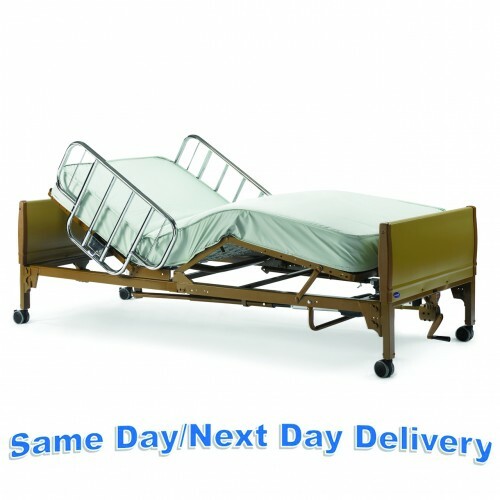 We have a wide variety of beds to select from such as long term homecare beds or short term hospital beds. We carry brands such as Invacare, Joerns, Hill Rom, Flex-A-Bed and more. Each bed we rent has specific features and qualities that cater to our patients personal needs. 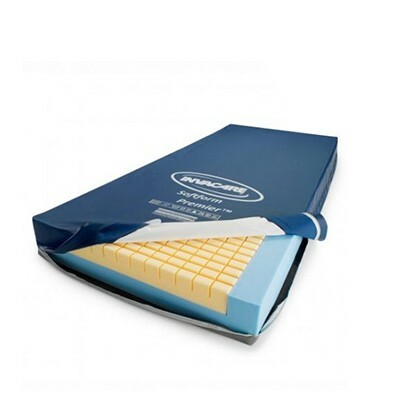 Additionally to beds, we also carry multiple different mattress upgrade options, such as foam mattresses that provide pressure relief and alternating pressure air mattresses. 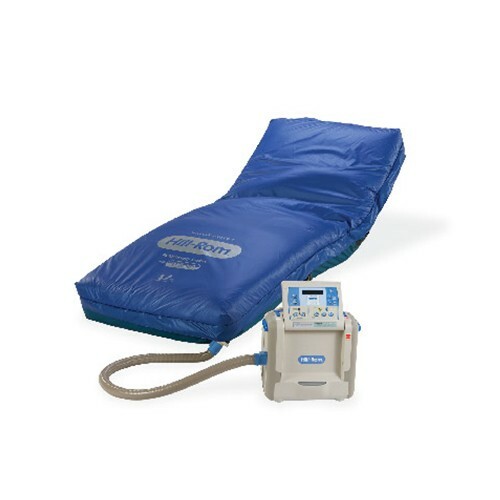 These are ideal for patients who are prone to or are suffering from pressure wounds. All our equipment is thoroughly inspected and sanitized after each rental. We also have a showroom in Los Angeles/Sherman Oaks, CA where you can demo equipment in store with a specialist before renting. If you have any questions feel free to contact us at (818) 981-9906. Yes 450 lbs. 36" x 80"
The Perfect Rental Package Includes The Fully Electric Hospital Bed, An Upgraded Therapeutic Mattress, & An Over-The-Bed Table. All Together This Makes For The Perfect Bed Rental Package As It Gives Both Care & Comfort With The Therapeutic Pressure Prevention Mattress & Over-The-Bed Table For Eating Or Reading While In The Bed. 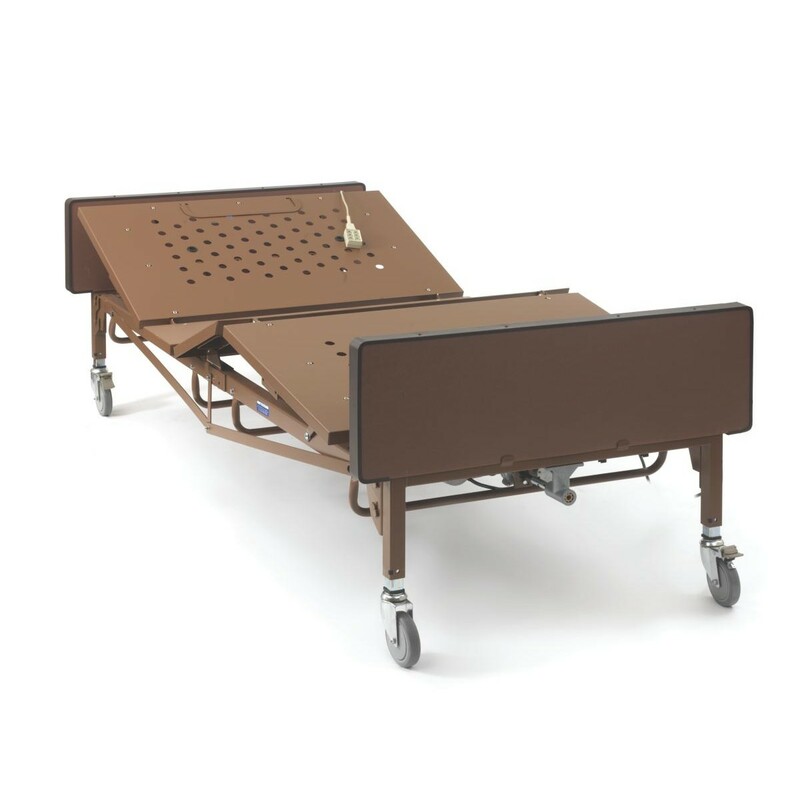 The Full Electric Hospital Bed gives the core functions needed for a bed rental. The bed frame has an electric head, foot, and base. 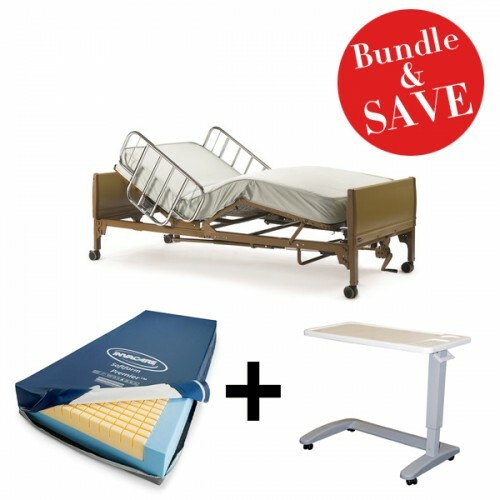 This economy bed is ideal for short-term use, such as after surgery or for recovering patients. The rental includes a basic foam mattress and choice of half or full side rails. 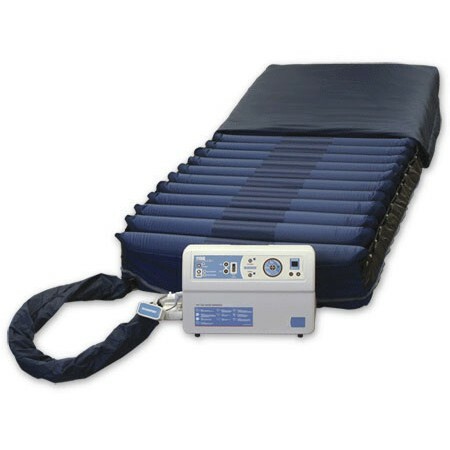 No 500 lbs 35" x 80"
The Deluxe Home Care Bed is our most popular bed rental option. It is a fully electric frame with an electric head, foot, and base. The bed also has advanced positioning allowing for an infinite number of bed positions for maximum patient comfort. The key feature that this bed has is the chair position where it is able to sit the patient in an upright position. This is great for watching TV while in the bed frame, eating in the bed, or reading a book. The bed is great for both short term surgery recovery and Long Term Care. No 500 lbs. 80"-84" x 40"
The Hill-Rom Careassist is the exact same bed frame used in 75% of hospital across the United States. 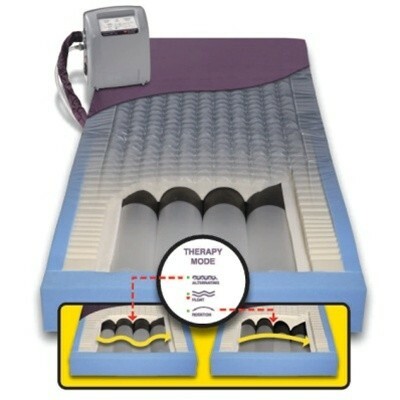 The bed contains advanced positioning as well as the core functions of an electric head, foot, and base. 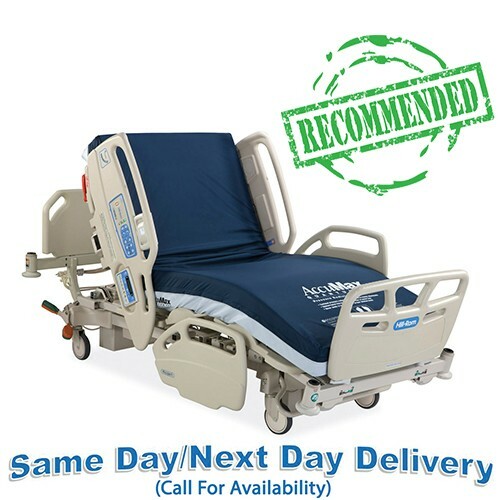 This bed is recommended for users in severe condition or for patients who want a hospital grade bed for home recovery. 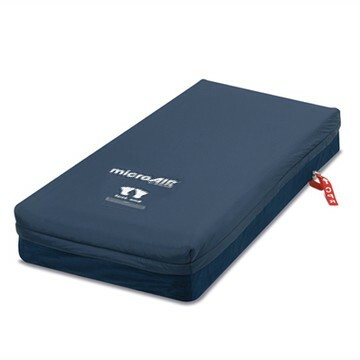 We also carry various mattress options from Hill-Rom, so it is possible for users to sleep on the exact bed that they were using while in the hospital. 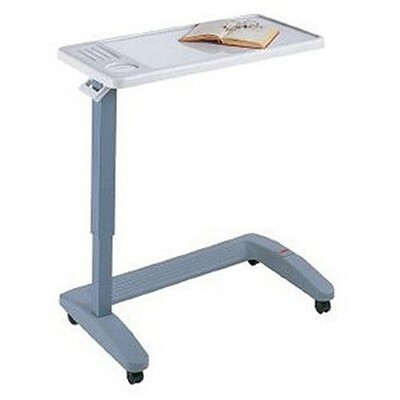 Yes 600 lbs 42" x 80"
The Bariatric Hospital Bed rental is ideal for patients weighing up to 600 lbs. It can be used as a short-term option for surgical/injury recovery or a long-term homecare option. Yes 350 lbs. 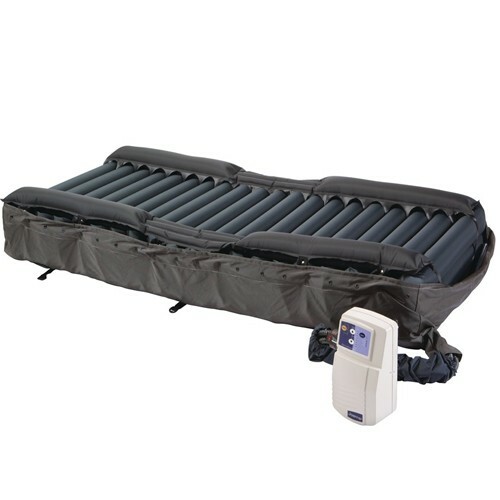 36" x 80"
The semi-electric bed is the most budget-friendly bed rental. It has basic electrical controls which elevate and lower the back and legs as well as a manual crank to adjust the height of the bed. 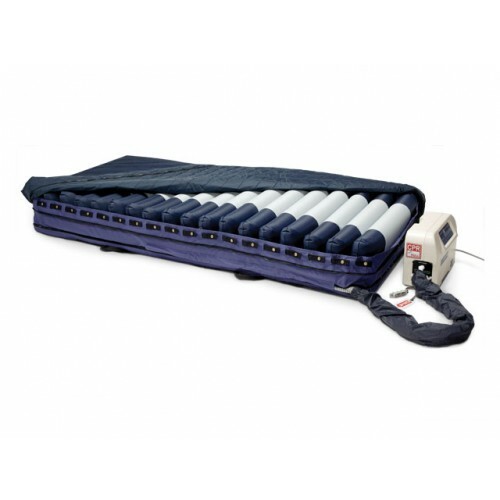 This economy bed is ideal for short-term use, such as after surgery or for recovering patients, however, it could be used for long-term use as well. Makes it easier for people to eat, write letters or do projects while in bed or in a chair. 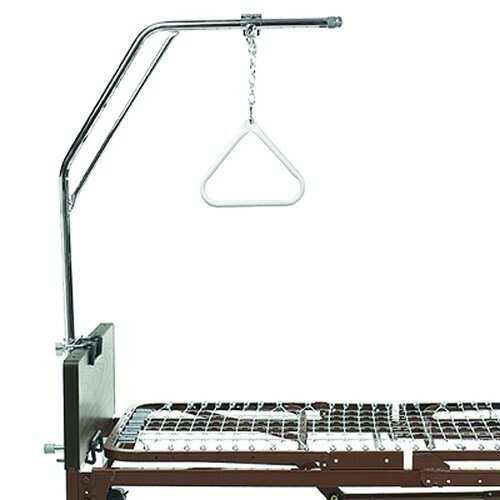 The offset trapeze units have a wide range of height adjustments and handbar positions to maximize patient accessibility. 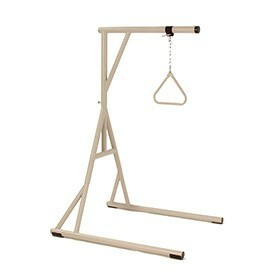 The bariatric trapeze bar is designed to assist individuals weighing up to 1000 pounds. Will My Insurance Pay For The Hospital Bed Rental? Most insurance companies do cover hospital bed rentals, but the only bed that they will pay for is the Basic Semi-Electric Bed. Unfortunately we do not work any insurance companies for our bed rentals. Our higher end beds such as the Hill-Rom or Joerns Ultracare would not be covered through any insurance companies. All of our rental beds are private pay. Do you guys charge for delivery to the home? With all of our hospital beds a delivery & pickup fee would apply. The fee varies depending on distance from us and the bed rental model chosen from our variety of beds. The delivery & pickup fees include set-up into the home, training on proper use, and sanitization after the rental is completed. Same-Day Delivery is available for all of our bed rentals. We recommend customers needing same-day delivery to call early in the morning before noon. This way we can put the delivery in for today and no extra fees would be charged. For customers needing same-day rush delivery extra fees may be applied for rush delivery. If I do not keep the bed for the entire month do I get money back? With all of our beds that have only a monthly rate the price is a flat rate regardless of if the customer has it for only 1 day or the entire 30 day rental period. Under no circumstances will we pro-rate our bed rentals. For beds that have a weekly and monthly rate, if the customer pays for the entire month and requests to return it in the first week we would convert the rental to a weekly rental and refund the difference. This only applies to our rental beds that have a weekly rate.